I have loved and collected maps since I was a kid. I tried collecting baseball cards like my friends, but they just did not hold my interest. Maps, on the other hand, fascinated me. While my friends were memorizing stats on the back of baseball cards, I was the nerdy kid memorizing places on maps. Fortunately, I had access to lots of maps when I was growing up. My grandfather had a map of the United States on the wall of his home office as well as years of National Geographic magazines stuffed with awesome maps. In our home, I often perused the atlas that my Dad had used while serving overseas in the military. Mom and Dad also bought me a globe of the earth and a smaller one of the moon. And, as a member of Commander Whitehall’s Explorers Club in elementary school, I received a different map in the mail every month. My map collection really took off when I learned that I could get free maps by writing to Chambers of Commerce around the country. I wrote lots of letters and received lots of maps completely free of charge. I reserved the top drawer of the wide dresser in my room as the place to keep my maps. When I joined the Boy Scouts I was exposed to topographical maps and started adding these to my collection. 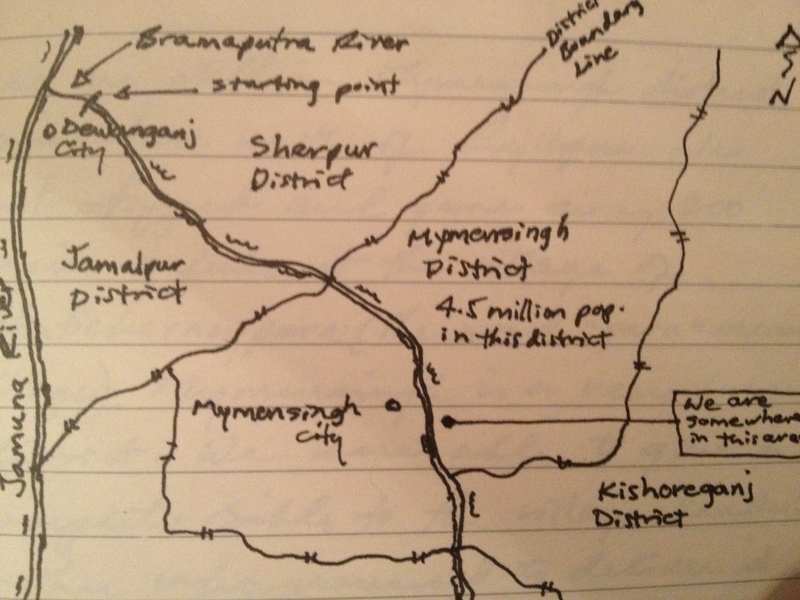 On a few occasions, I have drawn my own maps in my journals while traveling through remote regions in places like Bangladesh and Pakistan. And, I still purchase maps. Although I bought my first GPS before traveling to Darfur in 2005, I still prefer to hold a good map in my hands. Earlier this year, I visited Madaba, Jordan — known as the City of Mosaics. When my friend Jamal Hashweh, the director of the Global Hope Network, told me that one of the oldest maps in the world was at the Greek Orthodox Basilica of Saint George, I had to go and see it. 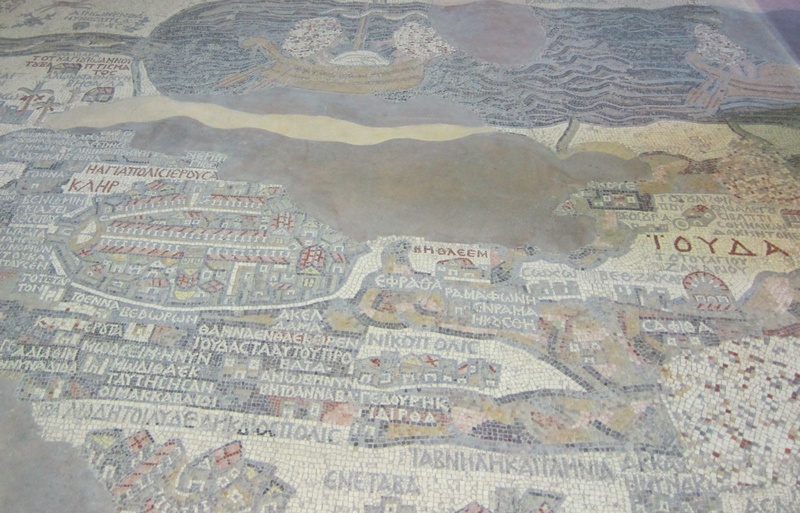 The map, which dates back to the 6th century AD, is a mosaic made up of more than a million small square-cut stones carefully laid onto the floor of the church. It is regarded as the oldest surviving original cartographical depiction of the Holy Land. What impressed me the most was the care and accuracy that the unknown cartographers used in depicting the Holy Land and Mediterranean world. It’s important that maps be as accurate as possible — something that is much easier to do in our technologically enriched world than it was when the Madaba map-makers laid out their map on the floor of the church one tiny square at a time. When you think about it, we all owe a debt of gratitude to map-makers. Maps help us to understand how big the world is, how small we are, and the importance of understanding the context in which people live. Maps can also beckon us to go beyond the places that are familiar to us to discover what and who lies beyond the horizon. That’s important if we are to understand the world in which we live and how people are shaped by the particular places on the map that they call home. The next time that you look at a map, remember that our world is still full of interesting places and people waiting to be discovered. Make it a point to visit places both near and far and to meet the people who call those places home. Doing so will make looking at maps even more meaningful. Cool post, I also enjoy looking at maps very much, fantasizing about where I will go next. What is your favorite kind of map? I enjoy collecting both political and physical maps. The cool thing about using maps on my iPad or iPhone is the ability to toggle between political, physical, and satellite views of a region. Thanks for commenting and for the link to your WordPress blog. Thanks for writing this. I have a collection of maps myself in a variety of different conditions due to usage. I love that you would write the chamber of commerce for maps. Though google maps is absolutely wonderful, there is something visceral about holding a map in hand. Thanks for your comment. I definitely agree about holding a map in hand. I much prefer that over any electronic version of a map. Best to you on your adventures in Thailand. Great blog. Enjoyed reading this. As a geologist, I am fascinated with maps also. I have a GPS, but look at a map to make sure the GPS is giving me good directions. Remembering that bus ride in Mongolia, and your hilarious description of yourself as a child, I can just picture you, in your little Eddie Muenster suit, poring over your maps while the other kids studied their baseball cards. Once on a trip out west with my parents when I was a child, we were a bit lost, and my father was lamenting that it was a 200 mile trip to get back on the right road. My mom was the navigator, and kept insisting that there was a tiny road which, if taken, would reduce the trip to about thirty miles. My father pointed out that the road wasn’t on the map. My mom took a pen and drew one! Imagine my very disgruntled father’s shock when we arrived at that spot, and sure enough, there was a road. Not much more than a trail, but he took it, and we soon found ourselves where we needed to be. When my dad asked her how she knew the road would be there, she replied, “God told me.” What a lesson for an impressionable child! Wow! Great story, Lanni. Thanks so much for sharing. I love maps as well Omar. I have a collection of maps and a big globe in my office with all of the places I’ve traveled to marked on it. It’s great to remember where I’ve been when I look at those marks on the globe and it’s also great for reference when someplace I’m not familiar with comes up in a book I’m reading. My first job after High School was delivering flowers all over Southern California. I used a Thomas Brothers map all day every day and developed a strong sense of direction that has helped me so much over the years. And when I lived in Tokyo I got tired of the subways so I bought a mountain bike and mounted a map on a piece of plywood to the handlebars and had an awesome time going all over town that way for most of a summer! Thanks for sharing about the role maps have played in your life. I have enjoyed reading your new blog site and listening to your story on video. Thanks for all you are doing for the kingdom and for offering those in recovery a reliable map toward healing and hope. It’s always good to hear from you.